From time to time I'm looking for new headshot databases. Older files are no longer available for download and a new big update is unfortunately not in sight. So I think it's a good idea to exchange our collected pictures with each other. Enclosed you will find my database. I take no responsibility for completeness or correctness of the pictures, therefore download at your own risk. I hope many will provide their collections. Btw: It's mostly a combination of downloaded databases, so don't thank me, but to those who originally created the databases. Above is all of the Headshots that are in my local database for Cast with a Last Name beginning with 'A'. Most are what others have done over the years, some are modified to zoom in or I have found newer headshots of them. Does contain, what I believe are Approved Birth Years. It also contains Fake Birth Years, as listed below. In regards to Brooke Anderson, IMDB lists at least two people with that name and I was probably trying to determine if a BY was needed for both actresses with that name. So I added her BY locally. In regards to Alun Armstrong, I have no idea where that came from. Again, I am sorry for that. I know that headshots are subjective and all, but what are we after. Are we trying to find headshots for when the person was/is at their peak in their career or are we after a headshot from when they last worked. 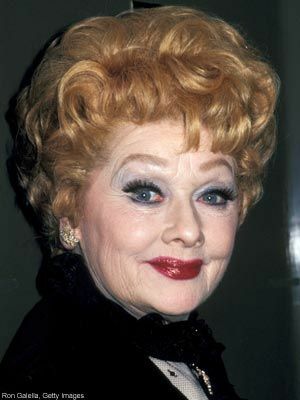 For example, Lucille Ball's headshot looks like it's from the 1940's or 1950's. But she worked well into the 1970's. So are we looking for something like this? Personally I look for what they looked like when they last worked. Thx to both of you for the New headshots. So what I did was create a database of just headshots. Going through each and everyone of them and creating two databases. One with headshots without any birth years and the other one will be Only with Birth Years attached. Right now comparing headshots and cropping them or if the quality doesn't allow I just leave them alone. Thing is that the larger database, the one without headshots will probably be close to 1GB in size. So I think I'll break them down to more reasonable sizes once I'm done. I'm also comparing crew and cast headshots against each other and choosing the one I think is the better or more recent one.